Hey everyone! Today I’m here to talk about patterns. 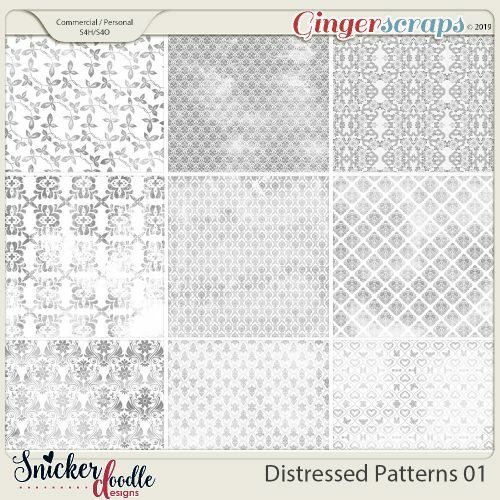 Subtle or bold, distressed or not, patterns add so much to a digital scrapbook page. 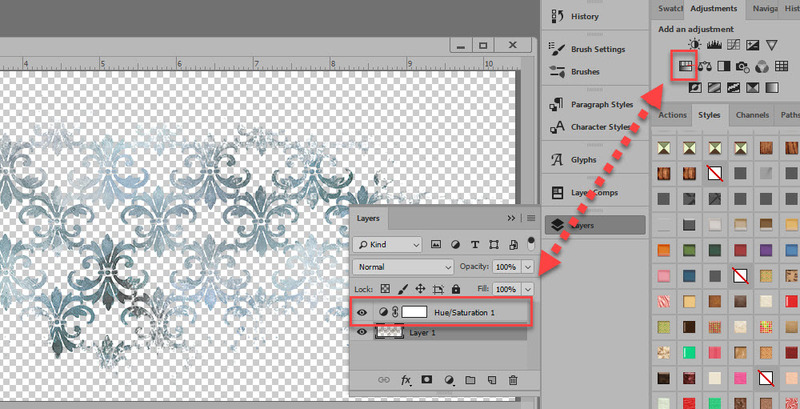 In Photoshop CC or Photoshop Elements, open a background paper. Place a Pattern on the layer above the background paper. Experiment with Blend Modes and Opacity Levels of the Pattern. Yes. It’s really that simple. Sure there are other things you can do to add even more interest, but basically, that’s it. 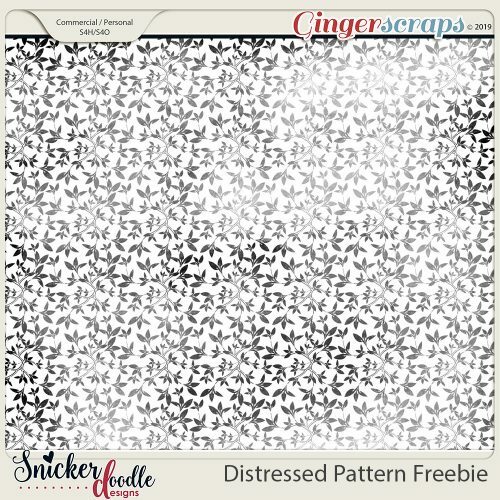 Here is a simple cardstock paper with a Distressed Pattern in Normal mode on the layer above the cardstock. In the image below I’ve changed the Blend Mode of the pattern to Multiply and lowered the opacity to 26%. The result is a soft and pretty look. Here’s another example. I changed the blend mode of the pattern to Hard Mix and lowered its opacity to 47%. I added a Color Balance adjustment layer to it, tweaking some of the colors. Now we have a totally different paper from the one above. Don’t restrict yourself to plain cardstock though. Here is a paper from my This is Me April kit. I added a Mask to the Pattern, and brushed away a majority of the pattern, just leaving it near the top of the paper to add more interest. There are just so many ways to play with patterns! These patterns are provided in PNG format, which gives you the ultimate flexibility! 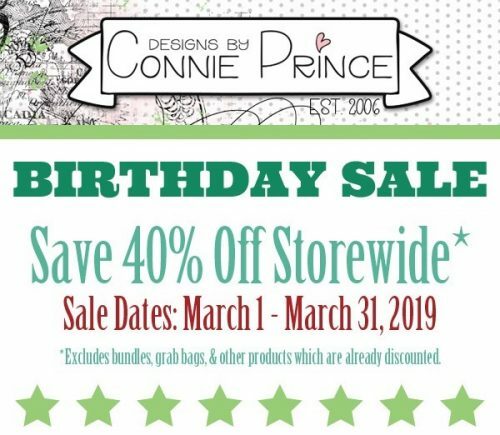 Take advantage of the 40% sale on these products, valid through March 14th. And here is a freebie for you to experiment with. Just click on the image below to download! 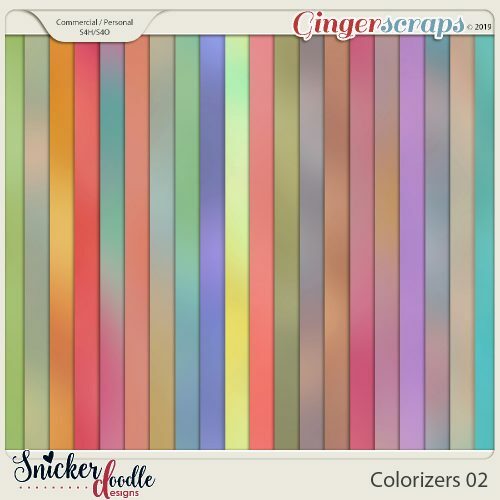 Colorizers, by Snickerdoodle Designs, are a new product here at Ginger Scraps. But what are they and what do you do with them? Hi! 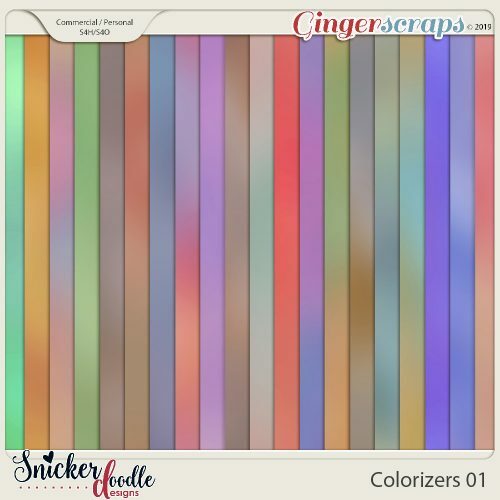 I’m Karen, of Snickerdoodle Designs; and I’m here today to show you how to use my Colorizers to easily add color to your digital scrapbook papers, text, elements, and shapes. I’ve prepared a 2-minute video to show you how easy Colorizers are to work with. 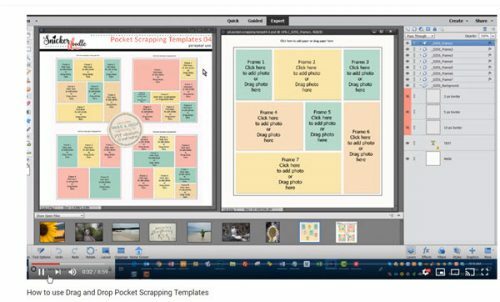 Take a look at the video, and then scroll down for 4 additional ways to add color to your digital scrapbooking projects. Many designers include graffiti, doodles, or other graphic elements in their digital scrapbooking kits. They are usually provided in papers or colors that coordinate with the designers kit, which makes them super easy to use. 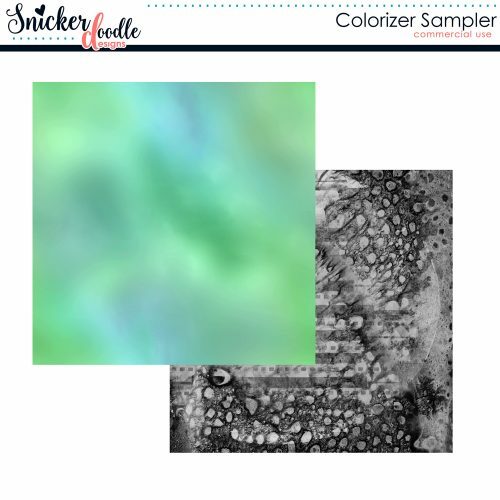 But if you love a specific graphic and want to use it with a kit of a different color palette, using a Colorizer is a fast and easy way to achieve that goal. Here is a piece of graffiti from This is Me November Graffiti. 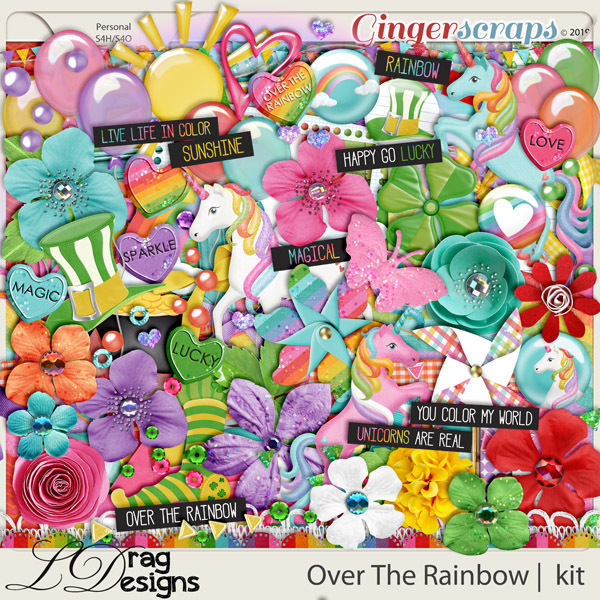 While it coordinates beautifully with the kit, it is also a piece that could easily be used on any scrapbook page with a simple recolor. We could add a Hue/Saturation Adjustment Layer, to change the color, from brown to blue in this example. But if we wanted to add multiple colors to the design element, using a Colorizer is a quick method. Place a Colorizer above the graffiti and clip the Colorizer to the mask, and you’re done! The variegated color adds a unique flavor to this piece. Stamps can add great interest to our pages. Most often they are black or gray in color. We can blend them into our backgrounds, colorize them, and apply Styles to them. Another quick way to color black elements in with Colorizers. 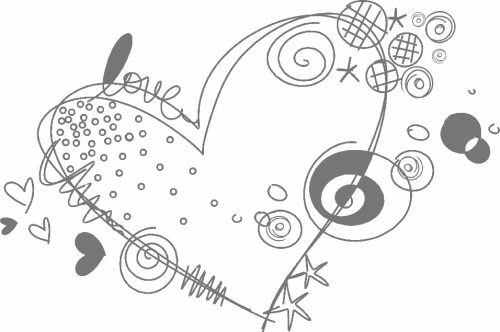 This is an element from “You Color my World.” In the kit, it is colored, but I have made it Grayscale for this tutorial. I am going to use Colorizer #8 from Pack 1 to quickly color this Stamp. I clipped the Colorizer to the stamp and experimented with Blend Modes. We can get a variety of different effects, based on the color of the stamp and the color of the Colorizer that we are using. In this example, Hard Light gives the best result. Sometimes just clipping a Colorizing to an image adds enough color, so you don’t need to do anything else. How easy is that? If you really want to play and experiment try adding a Levels or Curves Adjustment, or a Brightness / Contrast Adjustment. Or use 2 Colorizers – one Colorizer for half the stamp and a second Colorizer for the other half of the stamp. 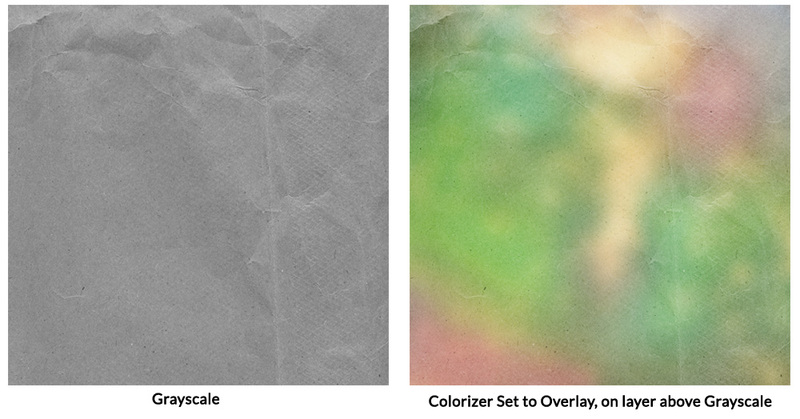 No matter what type of grayscale background you have handy, whether it is plain or patterned, using a Colorizer is a quick way to create a lovely background paper. Place a Colorizer on the layer above your grayscale background and experiment with Blend Modes of the Colorizer. (Grayscale paper from Crumpled Textures 01). 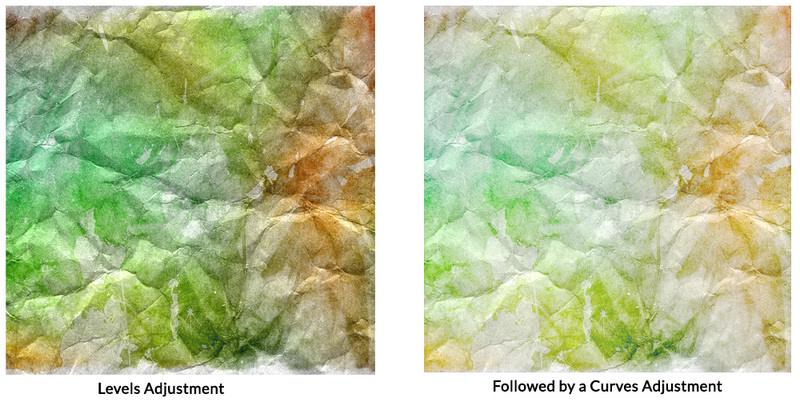 If you want a little more fun with the Colorizers, start with an artsy, mixed media background.  The texture I am using for this example is from my Artsy Textures 01, #6. I placed the Colorizer on a layer above the grayscale texture and changed the Blend Mode of the Colorizer to Screen. 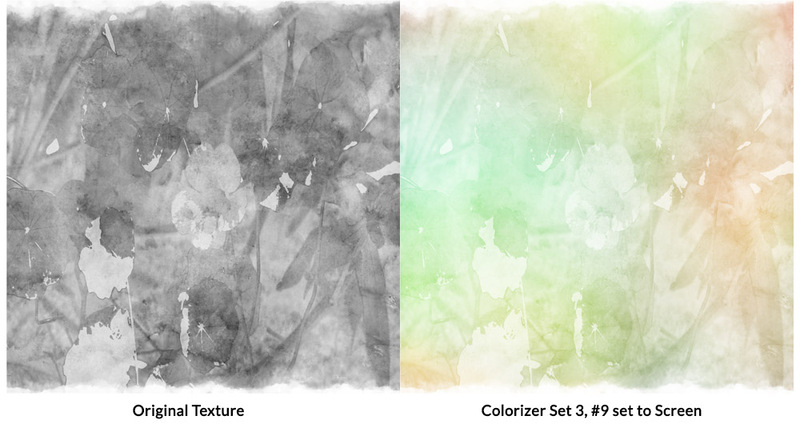 Next, I merged the grayscale texture and the Colorizer to create one layer. 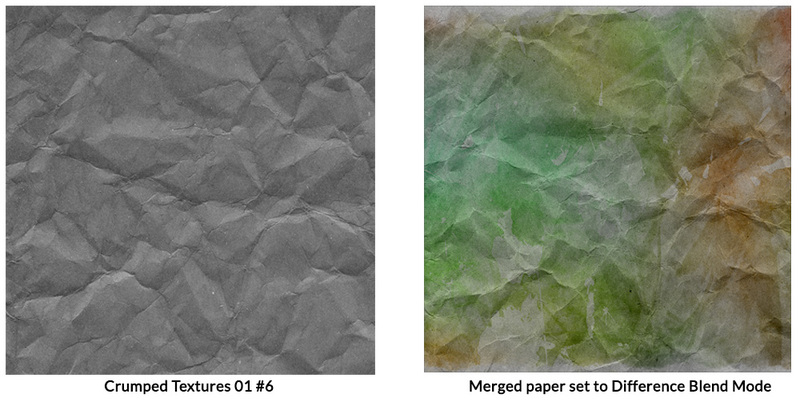 I placed the merged layer above a Crumpled Texture and changed the Blend Mode of the merged paper to Difference. It was way too dark for my taste, so I added a Levels Adjustment, followed that with a slight Curves Adjustment. I was happy with that result. Colorizers were designed to give you a multitude of options. You can get fabulous results by just using one Blend Mode, or you can use multiple techniques to get the effect you want. The key to using Colorizers is to play, experiment, and just have fun! Go ahead! Give it a try! Here’s a sample for you to experiment with. Just click on the image to download. 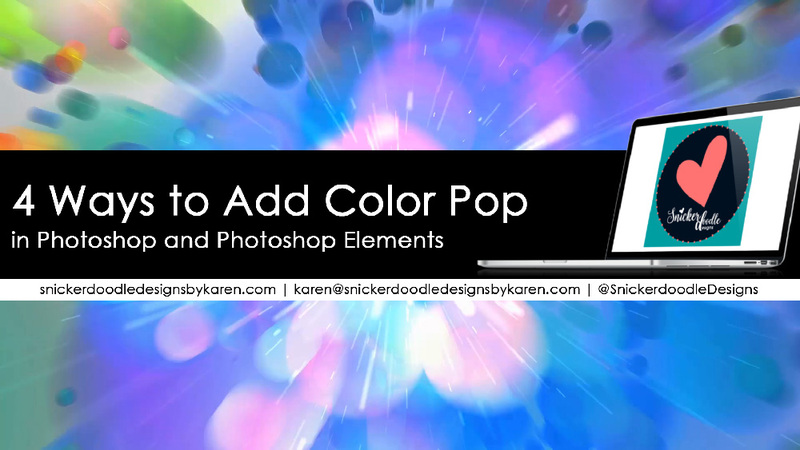 If you would like to download a PDF of this tutorial, you may do so here: 4 Ways to Add Color Pop. With the release of Photoshop Elements 2015, Adobe introduced a new Drag and Drop feature. This component of Elements is activated when using templates that were created specifically with this feature. The Drag and Drop feature does work in Photoshop Elements versions 10-14, with limited editing capability. It also works in versions released after Version 15. 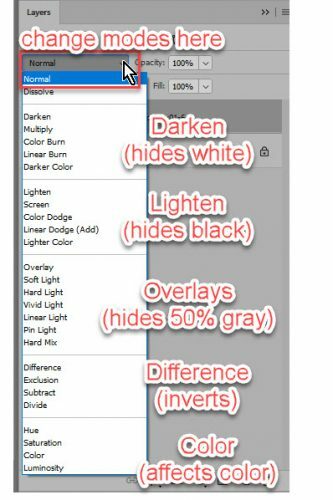 The Drag and Drop feature does not work in the full version of Photoshop. Those users can use Drag and Drop templates; however, will need to use traditional clipping masks, just as they would with any template. You’ve got to see how easy the Drag and Drop feature is to use in order to fully appreciate it! I’ve created a 10-minute video so you can see for yourself how fun these templates are to use. If you are inspired to use these templates, you will find them in my shop.